One of the big mysteries surrounding Star Wars: The Force Awakens is Maz Kanata. 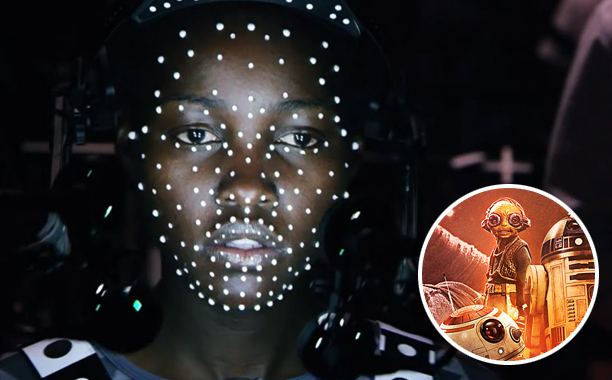 Little is known about the 1000 year old space pirate, played through motion capture by Lupita Nyong'o. Nyong'o, for her part, likes it that way. She recently sat down with People Magazine to discuss keeping the film's secret, motion capture, and her memories of Star Wars. Much in common have Yoda and Maz Kanata, a new character in Star Wars: The Force Awakens. Both are very short, very old, very wise, very powerful and very CGI (we're talking prequel Yoda, not puppet Yoda). Playing Maz, a little orange pirate with a big castle, seems like a surprising career move for Lupita Nyong'o, the actress who won an Oscar for Best Supporting Actress for 2013's 12 Years a Slave. 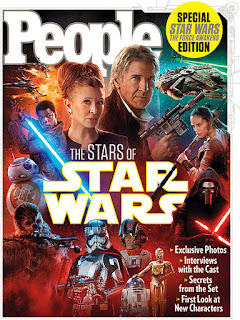 Yet as she told PEOPLE in the new Star Wars special issue, "I had been wanting to work in motion capture. When [Maz] was offered to me, I was so excited. I've always loved the work, like Andy Serkis and then Zoë Saldana in Avatar. And of course I got to work with [director] J.J. Abrams." And the Kenyan-raised Nyong'o, 32, has a special emotional bond with the original Star Wars. "In Kenya they would play Star Wars during public holidays," she says. "So it was something I could look forward to. I watched it five or six years in a row." Much of Maz is still secret. The goggled character is only seen in the background of the official movie poster. In one trailer, a little orange hand gives a lightsaber to someone who appears to be Princess-turned-General Leia. "I love keeping the secret," Nyong'o says, "knowing something no one else knows!" But recently, Nyong'o and Abrams let slip to Entertainment Weekly that Maz's eyes hold a secret power. 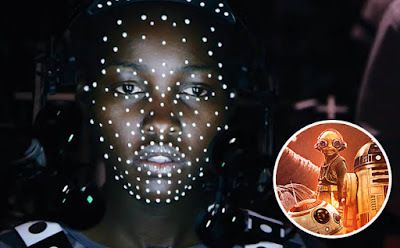 Nyong'o even said they are "the means to her magic as a motion-capture character." Watch out you must. I'm so looking forward to seeing The movie and Maz Kanata. I'M SO SO SO SO HYPED!!!!!!!!!!!!!!!!!!!!!! and people complain about too much being spoiled. talk about some glass-half-empty folks! if you thought about all the things we don't actually know anything about, you'd find that list to be very long and very intriguing! and Maz Kanata is very near to the top of that list!